Sciara del fuoco - you can see the explosions! 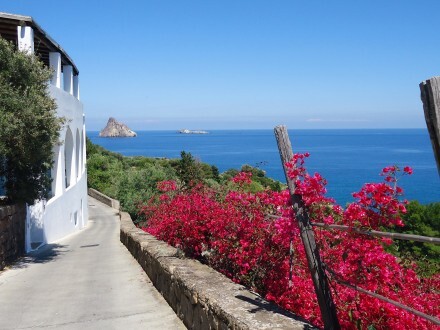 Experience Panarea, the chichi resort Island with celebrity hideaways by day and the explosive eruptions of Stromboli by Night. On Stromboli you have the chance to explore the historical centre of San Vicenzo with its winding streets, boutique shops and characteristic restaurants until sunset. 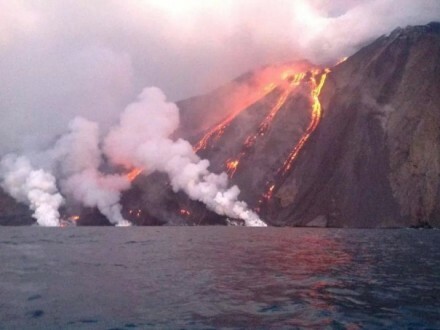 Back on board you sail out to sea to watch the dramatic eruptions of the Sciara del Fuoco (fire slide) in the darkness. 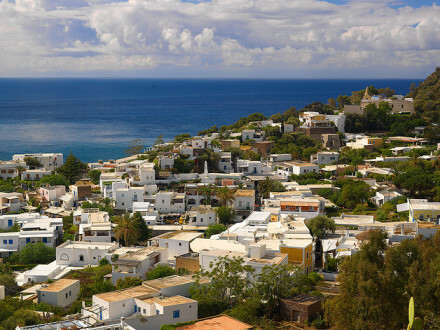 Panarea is the smallest and the most fashionable of the 7. 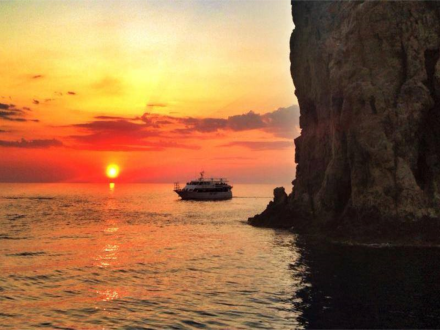 It owes its fame to the Hotel Raya, which in the summer attracts the international jet-set. Famous also for its prehistoric village in the promontory of Milazzo at the Bronze Age with its characteristic oval arrangement of little houses. 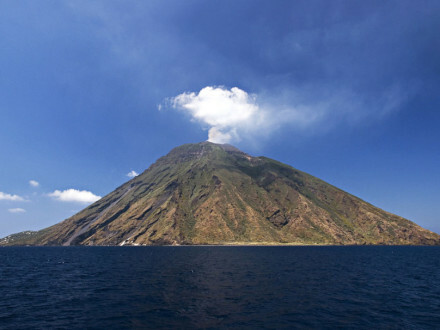 Dramatic Stromboli, in permanent eruption, maybe the most famous and spectacular of the Aeolian Islands. 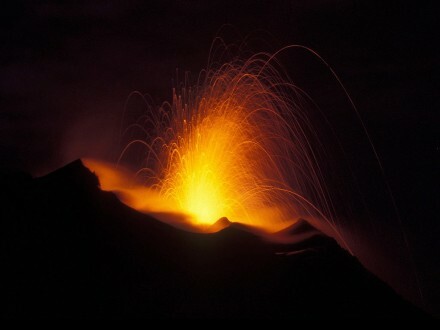 It is certainly one of the most active volcanoes in Europe and well worth is a visit of the famous firewall called “Sciara di Fuoco”.